Thursday, February 2nd, 2017 at 10:57am. 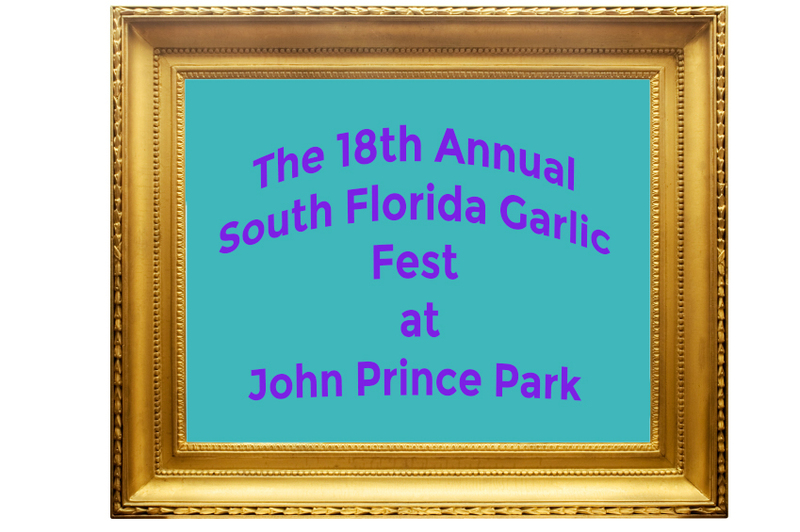 Hitting the John Prince Park in Lake Worth from February 10th-12th is the famous South Florida Garlic Fest! This year marks the 18th year of the Garlic Festival, a celebrated event by locals and tourists alike. The festival offers award winning gourmet cuisine from all over of the globe, amazing live entertainment, craft beer and cocktails, a children’s area and over 200 art and craft vendors. If you are coming to the 18th Annual Garlic Fest this year you will be in for some tasty surprises. Over 80 garlic infused recipes will be on the menu for you and your guests to taste. Many of the recipes have earned international recognition and awards.